Our Student-Athlete of the Week for October 24–31 is Matt Clark '19. Matt managed 3 goals, 1 assist, and 6 steals in Varsity Water Polo's semifinal match against MSJ last Friday and 7 goals and 5 steals in the championship game against Gilman. "Matt is an excellent athlete. He brings with him a fire in everything that he does, said Coach Nick Breschi '13. "Every game, every practice, every meet is the same fire and intensity you want all athletes to have. He also loves to bring the energy up with the guys on the team no matter the occasion. The intensity he brings spreads to everyone on the team, which helps the guys focus more on what they need to do. 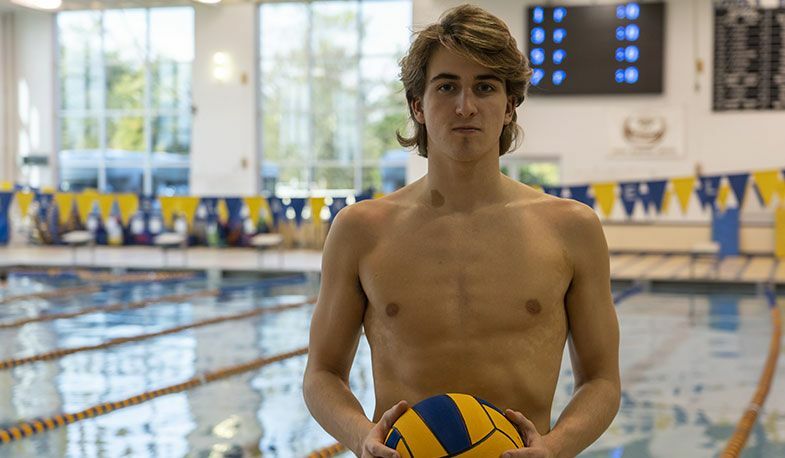 His athleticism and intensity helped the water polo team take the championship this year."